Ann Marie (Noce) O’Connor, 83, passed away peacefully on Friday surrounded by family. She was born in Syracuse to the late Joseph L. and Victoria C. (Palladine) Noce. Ann attended Solvay High School and later worked for the New York Telephone Company for 35 years where she wore many hats. She, and the love of her life, John spent their summers at Brennan’s Beach and eventually relocated to Florida full time. Ann was an avid fan of the Syracuse Blazers hockey team and was the President of their fan club. She was an active member of the Telephone Pioneers and she and her husband were very involved in the Special Olympics where they volunteered for over 20 years. 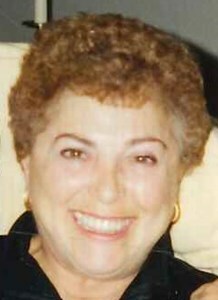 In addition to her parents, Ann was predeceased by her brother, Ralph E. Noce of Lakeland, NY. She is survived by her husband of 43 years, John F. O’Connor of North Syracuse, NY; brother, Anthony (Kathleen) Noce of Solvay, NY; sister-in-law, Joanne Noce of Lakeland, NY; step-children, Colleen (Ron) Bench of Cicero, NY, John (Tabitha) O’Connor of Syracuse, NY and Brian (Carol) O’Connor of Chittenango, NY; six grandchildren and many nieces and nephews. The family would like to thank the wonderful staff of Elderwood at Liverpool. Calling hours will be held Thursday, April 18th 5-7pm at New Comer Cremations & Funerals with a service to follow at 7pm. To share a memory of Ann or to leave a special message for the family, please click the share memories button above. Add your memories to the guest book of Ann (Noce) O'Connor. Aunt Ann was the most genuine person I've ever met. Always smiling, so loving, caring, and kind. I am thankful to have alot of memories with her. I enjoyed going to Brennan's Beach and spending the weekends with her and Uncle John and spending time with them when I lived in Florida. She will be missed dearly. My deepest condolences to Uncle John, Kelly, Brian, and Johnny. Also with the rest of the family. My sincerest condolences to John and the rest of the family. Nee Nee was such a wonderful person, and I am so blessed to have known her. I have many fond memories of her from visits to my Aunt Mary Jane and Uncle Russ’s house when I was growing up, as well as, Brennan Beach. She was truly a bright light in this world, and will be missed dearly. Anne Marie had the most beautiful smile . She was always so upbeat and happy. Deepest sympathy to John and the Noce family. Aunt Ann was a wonderful person. I always liked visiting with her as a little girl. She would hold your hand, ask you questions about yourself and always made you feel special. On the day that my oldest son was born, Aunt Ann called me at the hospital wish me congratulations. She had a big heart! I was so blessed to have Annie in my life. She and John shared so many wonderful memories with us while at Brennan Beach. Our most wonderful experience was sharing a grandson-Brian. We laughed so much together. I loved her rendition of the song Flaming Mamie. Thanks for all the memories-you will be missed! R.I.P Anne Marie, just a few years ago that your brother Ralph also left us for his new journey. My sympathies to John and all of Ann's family. Dear John and family, I had the privilege of knowing and working with Ann for many years. She was a beautiful lady inside and out. My deepest sympathies with her loss.